They say if it sounds too good to be true, it almost always is. Almost but not always. Although it sounds too good to be true, you can eat all you want and still lose weight. Recently www.newyorker.com linked to this site as an example of how the Internet is full of foolishness. Well there is a lot of bull dung on the web but losing weight without dieting is entirely possible. We got a lot of new visitors from the link, so all in all it was a good thing, even though they intended to make fun of us. There is no magic wand and no magic mirror here, just good, safe sensible advice. Did you know that nineteenth century lumberjacks ate from 6000 to 9000 calories every day and there was not a fat one in the bunch? Now very few of use, if any of us at all, have the time, energy or inclination to do that much work, but it does show that being thin is possible even on a high calorie diet. There are three variables in play when we lose or gain weight. They are, caloric intake, calorie burn rate, a and the amount of work done. sometimes these are called, diet, metabolism, and exercise. You're not a lumberjack and you are not going to get enough exercise to burn 9000 calories per day, but you can lose weight any number of different ways and not all require dieting. The typical diet consists cutting back drastically on your food, especially the food you like, and the experience those uncomfortable hunger pains, and sometimes irritability, depression, and maybe constipation and for sure - frustration This is way most people can't stick to a diet to lose weight and keep weight off. If you don't diet like this you probably think you will have to spend hours and hours doing boring and exhaustive exercise. Either of these approaches is bound to fail. Your own body is fighting against you all the way. If you eat less or cut back drastically on your diet, your body will think you are starving and slow down you metabolism. It is your bodies natural way of dealing with the way we have to eat. We can't every nutrient or calorie we need just as we need it. , to conserve calories, and although you are eating less your slowed metabolism can actually make you gain weight. If you have a few pounds to drop, or even if you are severely overweight you can still lose weight and eat all you want. 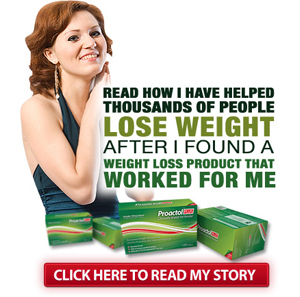 If you need to lose weight� and every weight-loss scheme you�ve tried has failed... it�s time to forget anything and everything anyone has ever told you about dieting before. Because of major medical breakthroughs, automatic caloric restriction is now possible. This is not marketing fantasy, this is scientific fact, documented by published medical findings. But there�s more!